Clariette Margaret Carlson was born on October 30, 1933, in Isanti, Minnesota, the daughter of Clifford and Linnea (Anderson) Johnson. She grew up in Cambridge, Minnesota and graduated from Cambridge High School in the class of 1951. She was united in marriage to Arthur B. Carlson on June 9, 1951, in Isanti. They moved to Willmar where Arthur worked for the railroad. Clariette worked various jobs as a waitress, receiving clerk at Tempo, and dispatcher for the Willmar Police Department. 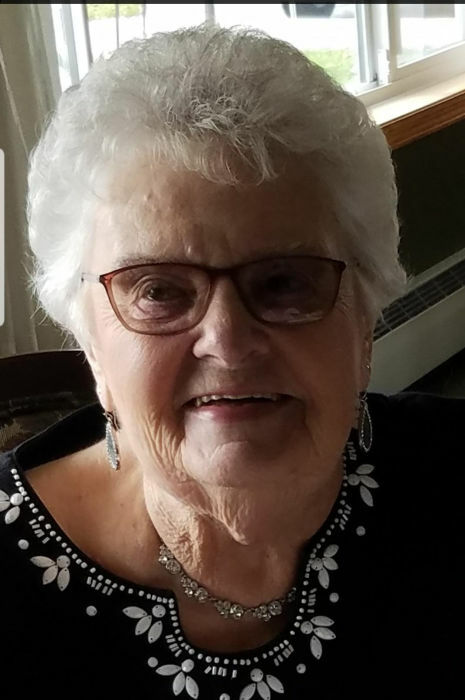 She was a member of Calvary Lutheran Church in Willmar where she was active in ladies aide. She was also active in the Willmar V.F.W and American Legion Auxiliaries. Clariette and Art where members of the local Harley Club. She received a 100,000 mile pin, for riding to places including: Alaska, Nevada and throughout the U.S. Arthur passed away on September 11, 1990. Clariette continued to live in Willmar. Clariette loved her family and she especially enjoyed spending time with her grandchildren. She enjoyed country music, dancing, playing games, meat raffles & never wanted to miss out on the fun. She is survived by her children: Corinne Fader of Duluth, Delorne (and Toni) Carlson of De Graff, Sharalyn (and Steve) Hanson of Atwater, Cindy (and Greg) Bichler of Wayzata; nine grandchildren; eight great-grandchildren; brothers: Eugene (and Melody) Johnson of Brainerd, Carl (and Valerie) of Cambridge and Wayne Johnson of Cambridge; sister-in-law and dear friend Phyllis Carlson of Willmar. In addition to her husband Arthur, she was preceded in death by her parents, Clifford and Linnea; son-in-law, Richard Fader; and companion, Roy Mahlum.